The fear of needles is a legitimate one and can even be a bit debilitating–particularly if you are facing the necessity of frequent vitamin b12 injections. If you are afraid of needles to the point that your trepidations might hinder you from receiving your necessary injections, rest assured–there is hope! In fact, we intend to provide you with a three step technique to assist in alleviating your fears so that you can proceed in the direction of wellness. 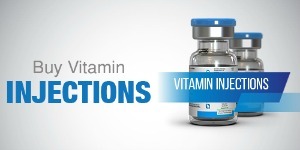 Being afraid of needles doesn’t have to stop you from getting beneficial vitamin B12 injections. Fears have a tendency to stem from the realm of the unknown. However, the fear of needles is probably attached to the fact that you know it will hurt. So, ok, it will hurt, but what are the benefits of that pain? This is where being informed can play a key role in alleviating some of your apprehension. That said, think about what needles do: they transmit chemicals, supplements and sometimes cures to the areas that need them most. In the case of donating blood, needles have the power to provide life to the recipients. Try to think on these things when the upcoming injection becomes fear-inducing. Fear makes us tense up, it makes our bodies clinch in anticipation of the pain or surprise (whatever the fear may be). In the case of injections, the tightening of our muscles actually makes the shot hurt worse. Therefore, it’s in your best interest to just chill out. Utilizing relaxation techniques is recommended for just about any phobia known to man. Why? Because when people are confronted with their fears several things happen: their heart rates increase, they start to sweat, their breathing becomes shorter and more rapid; perhaps they even get nauseous. These, autonomic (without thinking) body reactions can be controlled–or at least calmed–when relaxation methods are put into play. Here are some things to keep in mind. The first step in relaxation is getting our breathing under control. Take slow, calculated breaths. Next, do some counting. This may seem lame but it will take your mind off the injection to come. Finally, think of events, places, or people that bring you joy; focus on them and before you know it, the ordeal will be over! Obviously, you are taking B12 shots for health reasons that need to be rectified. Some people are more susceptible to B12 deficiencies than others. In fact, vegans and vitamin B12 injections should become close friends because they are at a particular disadvantage. There should be no reason that you allow fear to prevent you from achieving whole body wellness. Get informed, chill out and breathe; the injection will be over before you know it and the effects will last far longer. If you are afraid of needles or have any other reservation about your vitamin B12 injections, let us know. We can provide you with additional information and services as part of your purchase.